Summer is quickly coming to a close, and in just a few weeks, kids throughout Northern VA will be sharpening their pencils and getting back to class. 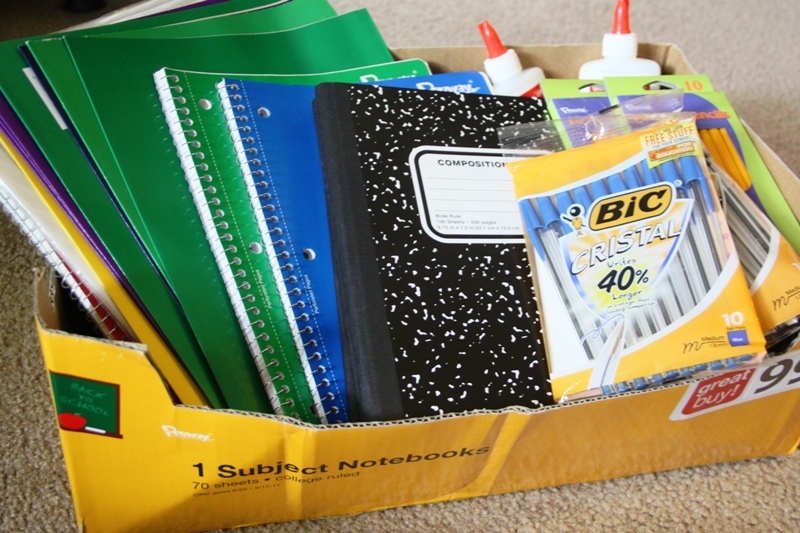 Unfortunately, there are countless children in our area who cannot afford school supplies. This year, CCA Real Estate and Keller Williams Loudoun Gateway want to help these students have a strong start when they go back to school. And, we want to make it as easy as possible for you to help! 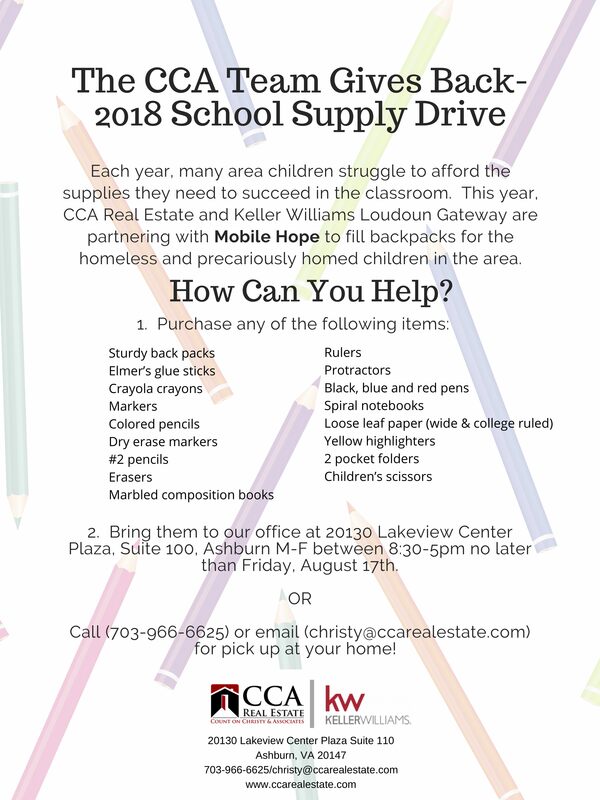 While you’re at the grocery store or shopping for your own back-to-school supplies, please consider picking up an extra item or two from the list below. Then, give drop them at our office in Ashburn, or call or text Christy and we’ll be happy to pick up the items from you. No contribution is too small! See below for details on how we can make it the BEST BACK-TO-SCHOOL EVER for some very special kids. Thank you so much!